Places to see near Ayodhya Hills: Gorshabru, the highest peak of the Ayodhya Hills is situated at a magnificent 2850 feet. There are various deep forests and numerous waterfalls located amidst the hills. 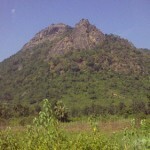 Several tribal villages are also situated on the hill. Some magnificent waterfalls like Ghagkocha Falls, Brahmani Falls and Turga Falls can be visited covering short distances by foot from nearest motorable roads. 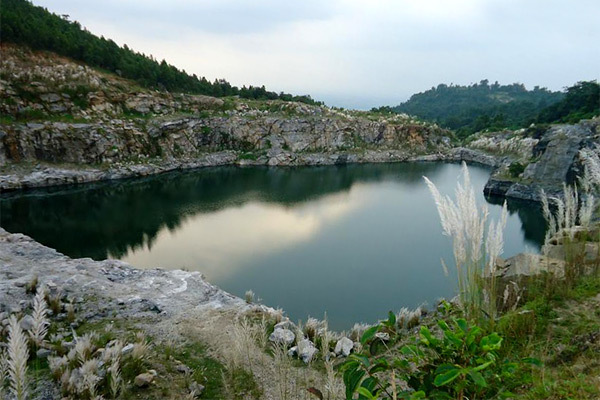 Another unforgettable experience is the panoramic view of the lakes and reservoirs located throughout the Ayodhya Hills like Tarpania Lake, Khairaberia Lake, Upper Ayodhya Dam and Lower Ayodhya Dam. Nearby attractions of Ayodhya Pahar: A trip to the Mayur Hill will provide a spectacular panoramic view of the entire range of Ayodhya Hills. You can also visit the Murra Buru Hill (Pakhi Pahar), which has some beautiful rock paintings of birds. Incidentally, Pakhi Pahar is a great spot for birdwatching and is the natural habitat of peacocks. 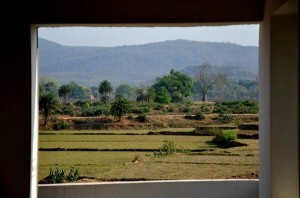 Heavily forested, these hill tracts are home to leopards, deers, wild boars and numerous birds. You can make a visit to Charida Village to see the artisans working on the beautiful Chow Masks or visit the tribal village of Dowri Kahal to see the tribal mud houses decked with colourful wall paintings. If you have a few days to spare, then you can make a day visit to Muruguma Dam, Rajrappa or Dalma Pahar. Things to do at Ayodhya Hills: You can either visit the numerous waterfalls, deep forests, tribal villages or can explore the beauty of the hill by taking a walk around it. You can also expect a glimpse of the wild animals residing in the forests of the hill such as elephants, wolves, wild boars, deer, peacocks, cheetahs and numerous kinds of birds. A tribal dance program or a Chow Dance performance can also be requested in the villages during the long moonlit evenings. Birdwatching, village walks, trekking, rock-climbing, hiking, nature photography – are few things you can do apart from sitting idle beside the placid lakes and lending your ears to the whispering wind and lapping lake water. How to reach Ayodhya Hills: The nearest railhead is Barabhum Station. The Lalmati Express, Howrah Chakradharpur Express and Howrah Ranchi Intercity Express connects Barabhum to Howrah. The village of Baghmundi (one of the main entrances to Ayodhya Hill) is just a few kilometers from Barabhum. By road, you can reach Baghmundi via Kharagpur and Balarampur via State Highway 5. You can also take a slight longer detour via Durgapur, Purulia and reach Baghmundi but the roads would be better. Best time to visit Ayodhya Hills: During September to March Ayodhya Hills get a chill in the wind and clear skies. Specially, February and March puts a vibrant show of Palash flowers and early October gives a show of Kash phool. But the monsoons shroud the place in endless greenery and the floating dark clouds over the green hills and gushing waterfalls make a spectacle worthy for lifelong travelers. Lodging facilities at Ayodhya Hills: A two-storey modern building facing the Ayodhya Hills accommodates guests at the village of Baghmundi. The basic modern facilities like attached western bathrooms, electricity, cozy beds and open terraces facing the hills make this accommodation a nice place to stay. Operated as a home stay, the host’s family takes care of every need of the guests. 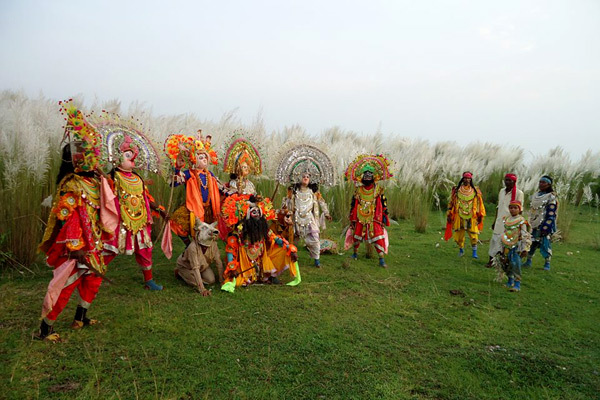 The home stay also organises transport and guides for local sightseeing and can even arrange local cultural programs like tribal dances and Chow dance performances for the guests. Food is essentially homely Indian cuisine, freshly cooked and served and materials locally sourced from village markets.